Terms below govern your use of Royal Bombay Yacht Club's internet sites or any allied sites you may enter from our site; which by accessing, you agree to be bound to. If you do not accept these terms, please do not use this website. We may change these terms at any time without notice by updating terms shown on this website. It is your responsibility to review website terms each time you enter the website to ensure you are aware of our latest terms and conditions. Your use of this website after a change has been made signifies your acceptance of the revised terms. These terms and conditions only apply to RBYC internet sites. These are not the full terms and conditions or privacy policies of allied sites, please refer to terms and polices therein for more information. The RBYC logo and all text, images, graphics, sound files, animation files, and video files specifically representing the Club and their arrangement on its internet site, are all subject to copyright and other intellectual property protection. RBYC internet sites may also contain material that is subject to the copyright rights of their providers; owners for example. 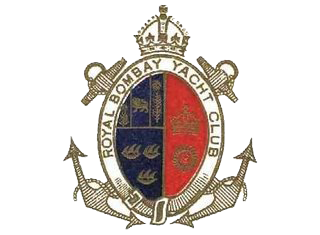 No person may copy, modify, transmit, distribute, display, reproduce, publish, license or create works from any material, on any part of this website, or otherwise use it for any public or commercial use without the prior express written permission of Royal Bombay Yacht Club. The information on RBYC internet sites is intended for use only by Indian residents from within India. The information and other materials contained in this website may not satisfy the laws in countries outside India. If you choose to access this website from outside India you are responsible for ascertaining to what extent local laws are applicable and compliance with local laws. Any telephone numbers and charges shown only apply to calls made from within India. Some of the product information, illustrations and images contained on RBYC internet sites, may have been prepared for generic use potentially in different countries around the world. RBYC holds no liability for information or details that are no longer available or not applicable in this country. While every effort has been taken to ensure accuracy of information, some inaccuracies may occur. It is important that you do not rely on this information but check with RBYC about any items, which may affect your decision to enjoy any product or service. RBYC accepts no liability for loss or damage resulting from errors or misleading information. All information and details are current at the time of publication and subject to change without notice. RBYC internet sites and the information, images, materials and other content shown on these sites, is provided without any representation or endorsement being made and without any warranty of any kind, whether express or implied, including but not limited to; any implied warranties of satisfactory quality, fitness for a particular purpose, non-infringement, compatibility, security and accuracy. To the extent permitted by law, all such terms and warranties are hereby excluded. Without limitation to the foregoing, although we take care to ensure that the information, images, materials and other content provided on RBYC internet sites is accurate, we give no warranties of any kind, express or implied, that they are accurate, complete or up to date. You should not rely on the information to make any decision or take any action. The Club shall not accept any liability for the accuracy or completeness of the information contained in this website or for any reliance placed by any person on the information. In no circumstances will RBYC be liable for any losses sustained and arising out of or in connection with use of this website, or any site accessed from this website including, but not limited to, loss of profits, loss of data or loss of goodwill (whether direct or indirect), nor any economic, consequential, indirect or special loss. Telephone calls and e-mail correspondence with the Club, to the e-mail addresses and telephone numbers accessible through, or obtained from this website, may be monitored. By using these communication methods you are consenting to log of your calls and e-mails. These terms shall be governed by and construed in accordance with laws of Republic of India. Disputes arising in relation to them shall, unless expressly agreed otherwise, be subject to the exclusive jurisdiction of the courts of Mumbai. We may collect Personal Data from you, such as your first and last name, email and password when you log in to our network (“Account”). * When you create an Account on the Site you may provide additional information, for example, a website address or social media URLs. * If you provide us feedback or contact us via email, we will collect your name and email address, as well as any other content included in the email, in order to send you a reply. * We also collect other types of Personal Data that you provide to us voluntarily, such as your operating system and version, and other requested information if you contact us via email regarding support for bookings. * We may also collect Personal Data, such as at other points in our Site that state that Personal Data is being collected. * Typically the main data collected is your name and email address, but other data may be collected by the online platforms used to power these offerings in accordance with their terms and conditions. * send you newsletters, surveys, offers, and other promotional materials related to our Services and for other marketing purposes of RBYC. We may create Anonymous Data records from Personal Data by excluding information (such as your name) that make the data personally identifiable to you. We use this Anonymous Data to analyze request and usage patterns so that we may enhance the content of our Services and improve Site navigation. RBYC reserves the right to use Anonymous Data for any purpose and disclose Anonymous Data to third parties in its sole discretion. We may share your Personal Data with third party service providers to: provide you with the Services that we offer you through our Site; to conduct quality assurance testing; to facilitate creation of accounts; to provide technical support; and/or to provide other services to RBYC. These third party service providers are required not to use your Personal Data other than to provide the services requested by us. Our lawful basis for processing Personal Data depends on how the data is collected. For Personal Data collected via activity on the Site related to a request (e.g. making a booking or reservation request) our basis for processing is performance of a contract. * We will periodically send you free newsletters and emails that directly promote the use of our Site or Services. When you receive newsletters or promotional communications from us, you may indicate a preference to stop receiving further communications from us and you will have the opportunity to “opt-out” by following the unsubscribe instructions provided in the email you receive or by contacting us directly. * You can request an archive of Personal Data by emailing secretary@rbyc.co.in We will provide you with a .csv file or files containing your Personal Data. * You have the right to opt-out of marketing communications. To do so, click on the "unsubscribe" link in the email. * You have the right to complain to a data protection authority about our use of your Personal Data. For more information, please contact your local data protection authority. RBYC is committed to protecting the security of your Personal Data. We use a variety of industry-standard security technologies and procedures to help protect your Personal Data from unauthorized access, use, or disclosure. We also require you to enter a password to access your Account information. Please do not disclose your Account password to unauthorized people. No method of transmission over the Internet, or method of electronic storage, is 100% secure, however. Therefore, while RBYC uses reasonable efforts to protect your Personal Data, we cannot guarantee its absolute security. We do not intentionally gather Personal Data from visitors who are under the age of 13, and children under 13 are prohibited from using our service. Copyright © 2018, Royal Bombay Yacht Club. All rights reserved.